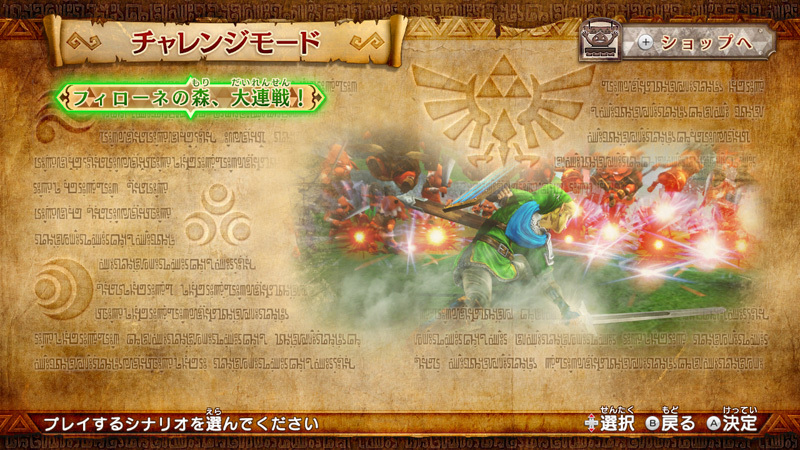 Tecmo-Koei just announced it: the new update for Hyrule Warriors will be available on September 1st in Japan. - Challenge Mode (series of chalenges to complete before the timer runs out). Important notice: this update will make you lose your progress for on-going battles, so make sure to complete them before applying it. Haha that 8bit weapon for Link. Clever. Haha that sword is awesome. is this a free update, right? They didn't mention the NPC wrong weapon bug! So what exactly is Challenge Mode? Does he shoot the sword? Hahaha, awesome sword. Now the question is, will this be part of a day 1 patch for the EU version? If only they'd add one to Mario Kart too ._. When I read about the original sword I wasn't expecting something like that, really awesome addition. Kill 500 mobs in 5 mins, you have 10mins to do that in adventure mode. Hahaha, that's awesome. Just when I think they've put in all the fanservice that they could, they continue to surprise me. So will this patch be already included on the US version, or will it be something among the lines of a day-one patch? 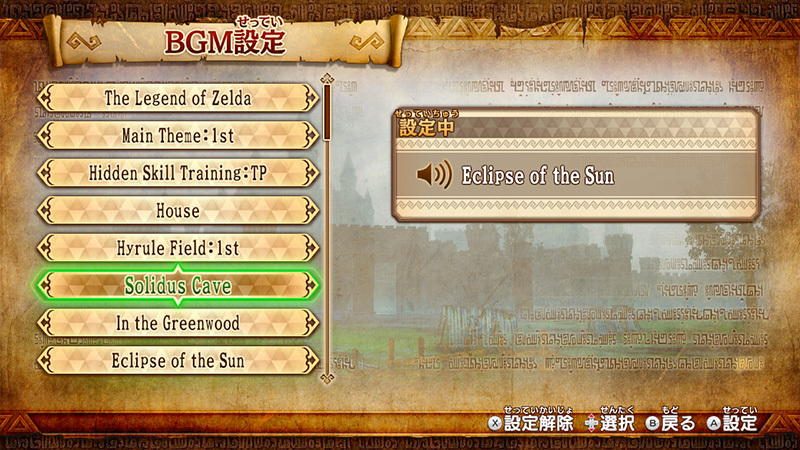 Oh yes BGM setting, Focal line and Skyloft on all maps, hell yeah! Bunch of bug fixes. Not sure what. Google translate too hard to decipher for me this time. One of em stops victory music from cutting out. I think. 8 bit sword and shield, awesome. The 8-bit Sword and Shield is amazing. Credits to @Broshi64 for the translation! It's actually maximum health reduction. 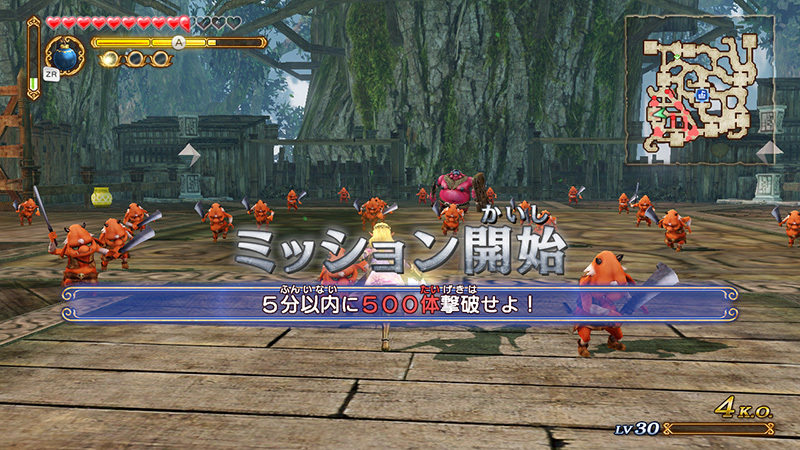 I've never found challenge modes in Dynasty Warriors to be fun. Hope they have more interesting things planned. 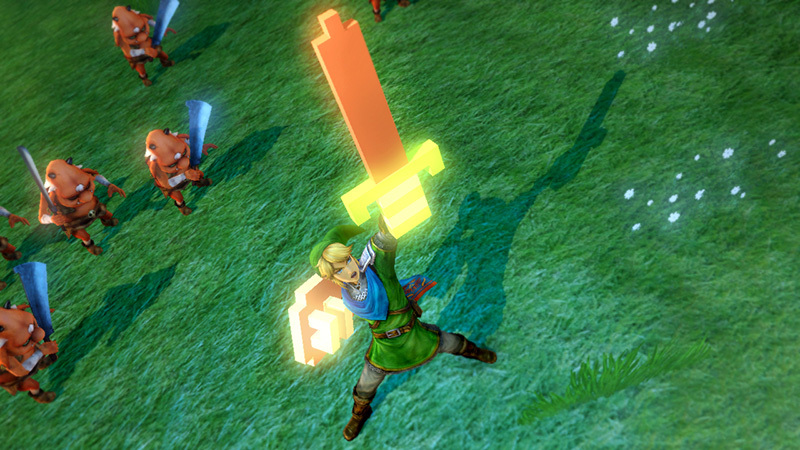 Hah - my first reaction to reading the release notes was, why wouldn't Link's original sword be included? ...then I saw the screenshots. You're quick as frak Lite Agent, do you use the same AI as Wario 64? I was calling it this morning, it's cool! Likely the retail game in the West will use version 1.2 I believe? Glad they fixed the audio bug. Had no idea what was going on when it happened to me. That original sword is great too. Hopefully othr characters get weapons too, though. Oh, I don't know if it matters but there already was a day one patch in Japan. So the game is going from 1.1 to 2.0. I imagine they'll include this in the initial Western release. Wonder wen they'll unlock purchasing the character costumes for Link, Zelda, and Ganondorf, too. Nice, Im completely hooked on the game, just wish it had a versus mode. I know it would be a big change from usual, but having the ability to issue some orders with the gamepad or having a dungeon master mode would be fantastic. Actually, it's 1.2.0, not 2.0. No idea which version they'll include in the West... probably 1.1 but with 2.0 available Day 1. 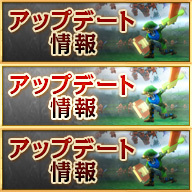 By the way, important notice: this update will delete your mid-battle saves, so if you got any battles on-going, make sure you complete them before applying the update! I'm assuming you're talking about western releases? I believe it will be available soon after or on day one (minus the retailers and special edition things). When we are at it, does anyone have a guide or something to create a japanese NNID by chance? No, he's talking about making the costumes available for purchase. Depends on what other content they add before Western release. That fan-service is insane. Me gusta. 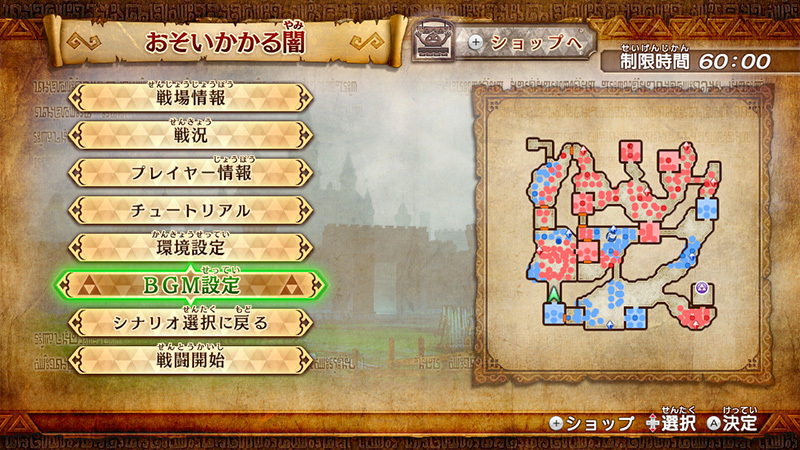 Oh, I was wondering: is there a "Free mode", allowing the player to play any stage with any characters, like in DW? No idea, actually, but if it's like Samurai Warriors Chronicles, you can replay any battle with any character once you've cleared it. 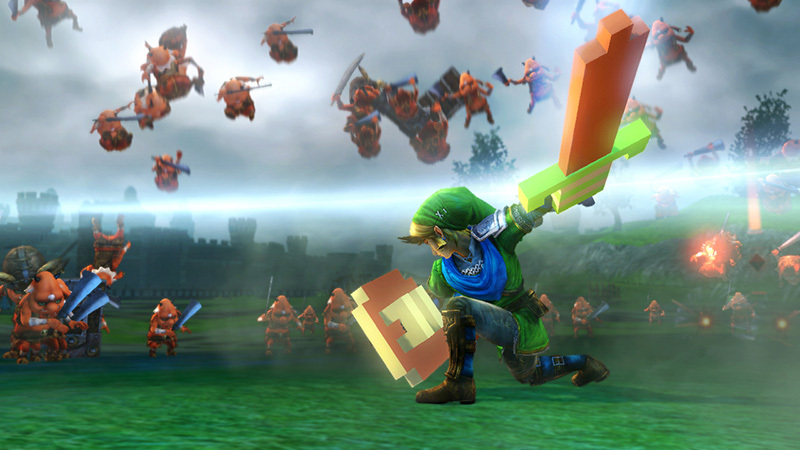 I believe Hyrule Warriors also has a free mode. Yes there is one, available from the start. I can't wait for this game to release in the UK. Hope for more additions to it like this. Challenge mode and new sword? Nice. I hope the Western version ships with it.